Renting a Frozen Drink Machine or Margarita Machine is fun and easy for any occasion. 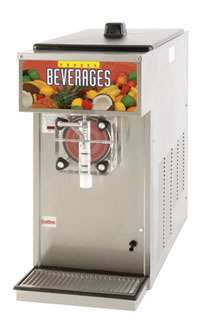 Margarita Machine Rentals are great for Birthdays, Pool parties, Weddings, Company Picnics, Holiday Parties, backyard barbecue, Office Parties, Mardi Gras, Cook Offs & Fund Raisers. We only rent the Best commercial margarita machines (Grindmaster and Taylor) made in the USA just like the ones you see in major restaurants. Call 817 453-COLD (2653) text 972-206-COLD(2653) or email us if we can make your next party better with a Frozen Margarita Machine from Margarita On The Run. Our Margarita Machine Rentals area covers Dallas, Fort Worth, Grand Prairie, Irving, Las Colinas, Cedar Hill, Duncanville, DeSoto, Venus, Midlothian, Waxahachie, Red Oak, Ovilla, Hurst, Euless, Bedford, Colleyville, Southlake,Keller,Grapevine,Coppell, Haltom City, Watauga, North Richland Hills, Richland Hills, Arlington, Mansfield,Rendon, Kennedale, Crowley, Haslet, Saginaw, Mesquite, Garland,Plano,Carrolton,Farmers Branch,Mesquite, and Burleson. 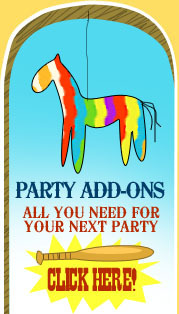 Don't forget to check out our Individual Items For Rent so you can customize your rental package. *Pricing subject to change on Holidays and special events. Friday deliveries are between 8 am and 12 pm. We will call Thursday with delivery window. Delivery area: Dallas, Fort Worth, Mansfield, Grand Prairie, Irving, Las Colinas, Cedar Hill, Duncanville, DeSoto,Venus, Midlothian, Waxahachie, Red Oak, Ovilla, Hurst, Euless, Bedford, Colleyville, Southlake, Keller,Grapevine, Coppell, Haltom City, Watagua, North Richland Hills, Richland Hills, Arlington, Rendon, Kennedale, Crowley, Haslet, Saginaw, Mesquite, Garland and Burleson. Delivery area:Dallas, Fort Worth, Mansfield, Grand Prairie, Irving, Las Colinas, Cedar Hill, Duncanville, DeSoto,Venus, Midlothian, Waxahachie, Red Oak, Ovilla, Hurst, Euless, Bedford, Colleyville, Southlake, Keller,Grapevine, Coppell, Haltom City, Watagua, North Richland Hills, Richland Hills, Arlington, Rendon, Kennedale, Crowley, Haslet, Saginaw, Mesquite, Garland and Burleson. Double margarita machines are only good for small parties for about 45 and less. These machines also can not be used in the summer outside. If you are wanting a margarita machine that can handle the summer heat , rent our Fiesta Pack or our Pick up Pack.